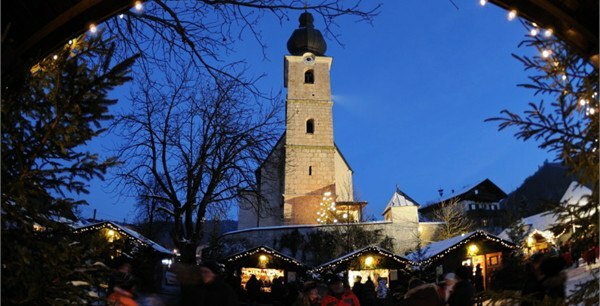 Mirabellplatz, Hohensalzburg Fortress, St. Peter: Christmas is coming! 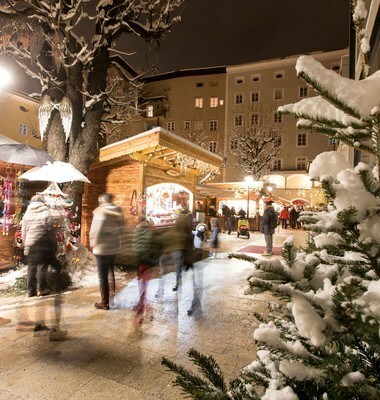 Every year just before Advent huts and Christmas trees with twinkling lights start popping up on the squares and courtyards of Salzburg. 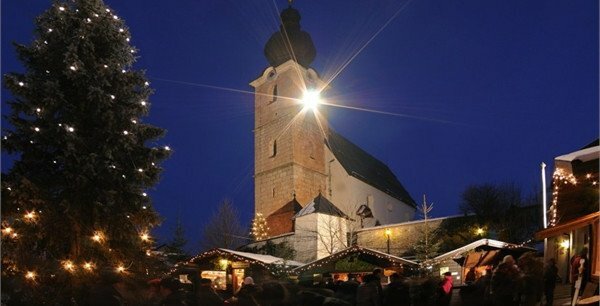 And when the stands finally open and the air is filled with the scent of mulled wine, gingerbread and roasted chestnuts, you know Advent has arrived. 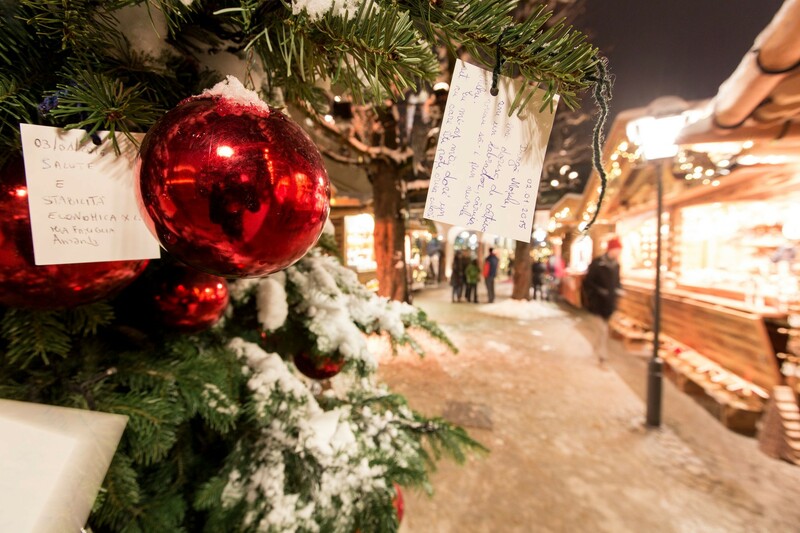 Take a look at some of the loveliest Christmas Markets that Salzburg has to offer and what makes them so special. 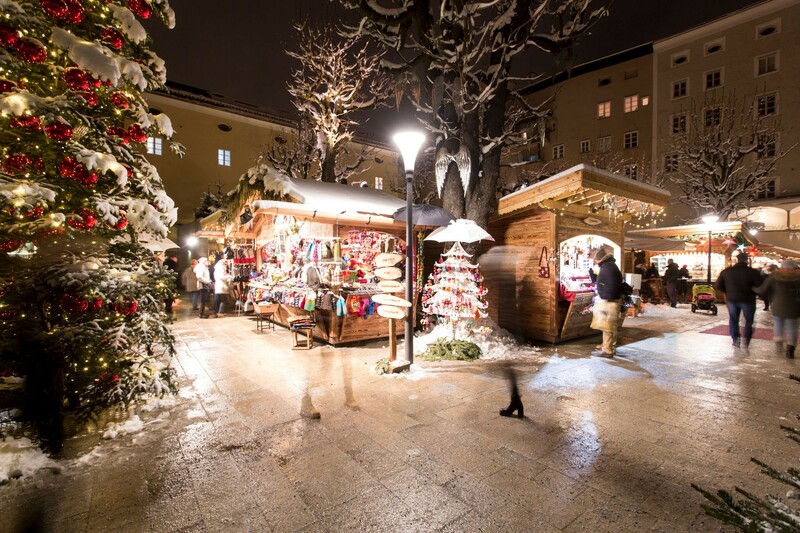 On the three major squares surrounding Salzburg Cathedral, Mozartplatz, Residenzplatz and Domplatz the market stalls filled with handcrafted Christmas decorations and delicious food and drink huddle together as if to keep each other warm and wait for expectant visitors to buy their wares. The Salzburg Christmas Market, considered one of the World's most famous, is the ideal place to find that special present you've been looking for and to get into the Christmas spirit. Mondays – Thursday: 10a.m. 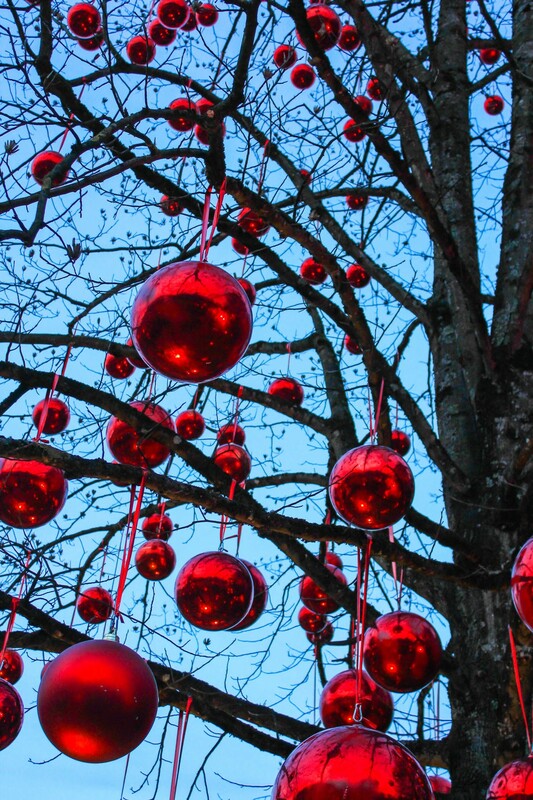 – 8:30 p.m.
Fridays and 7th December: 10 a.m. – 9 p.m.
Saturdays: 9 a.m. – 9 p.m.
Sundays and holidays: 9 a.m. - 8:30 p.m.
24th December: 9 a.m. - 3 p.m.
25th + 26th December: 11 a.m. - 6 p.m. 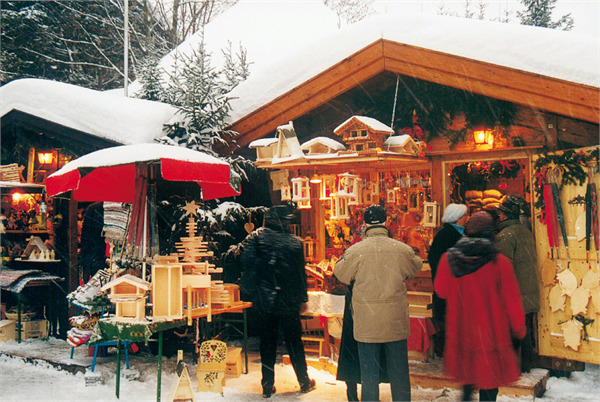 Right next to the large Salzburg Christmas Market in front of the Cathedral you will find the Alten Markt Market. Here most of the stalls offer regional and seasonal delicacies to eat and drink with a part of the proceeds going to charity. 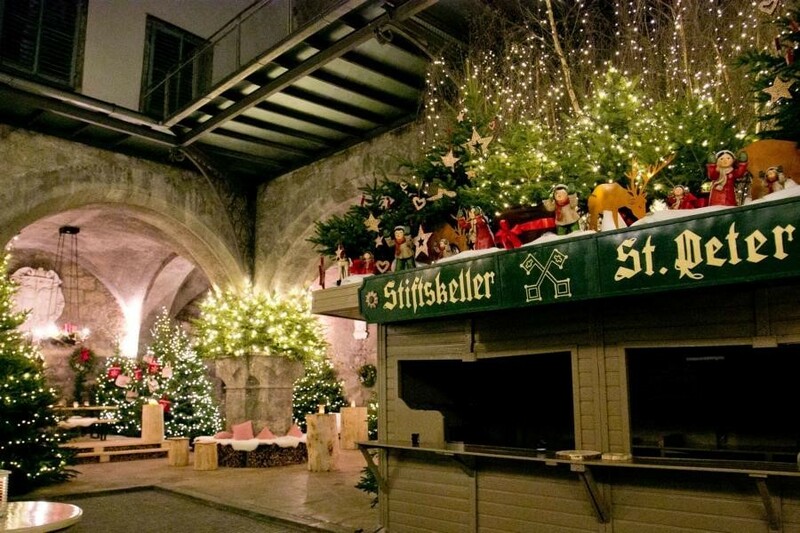 Somewhat of an insider tip is the Christmas Market in St. Peter Stiftskeller. 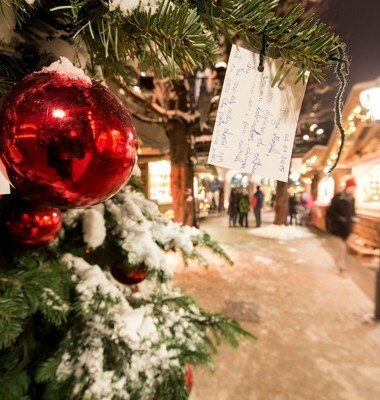 Hidden away behind historic arches, this smaller, romantic market is filled with soft twinkling lights and shining Christmas baubles. 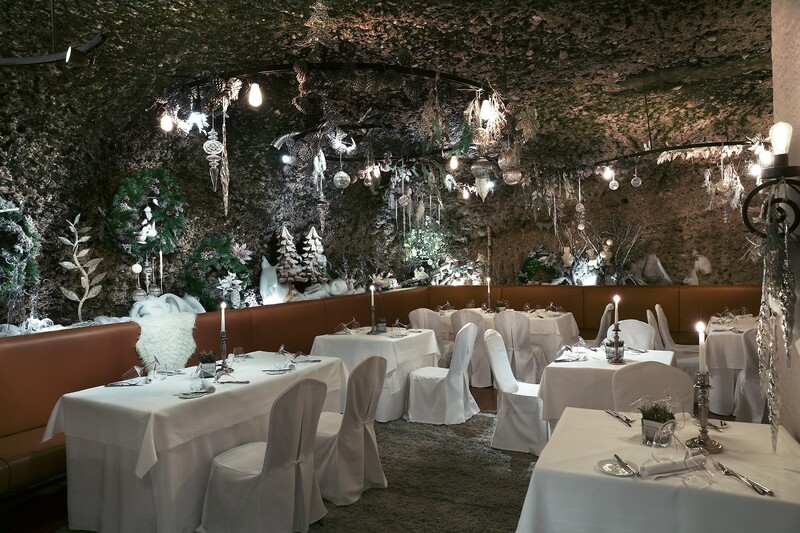 Step into an enchanting Christmassy world and let the Christmas spirit encompass you, far from the bustling Salzburg streets. 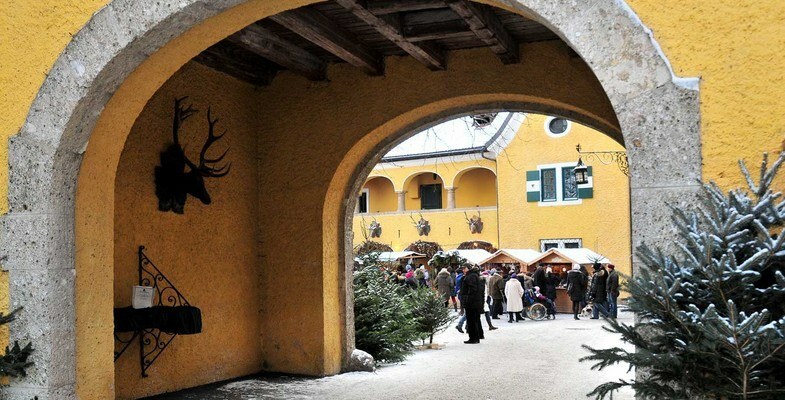 The Advent Market in the courtyard of Hohensalzburg Castle, Salzburgs most famous landmark, is the highest Market in the city. 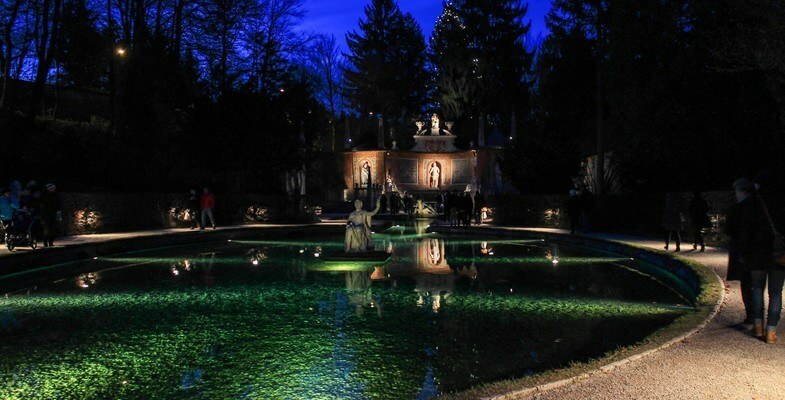 The walk up to the castle along the winding "Festungsgasse" lane is spectacular in its own right: The lane, like the castle courtyard, is decorated with more than a hundred Moravian stars that steep the path and the castle in a warm, golden glow. 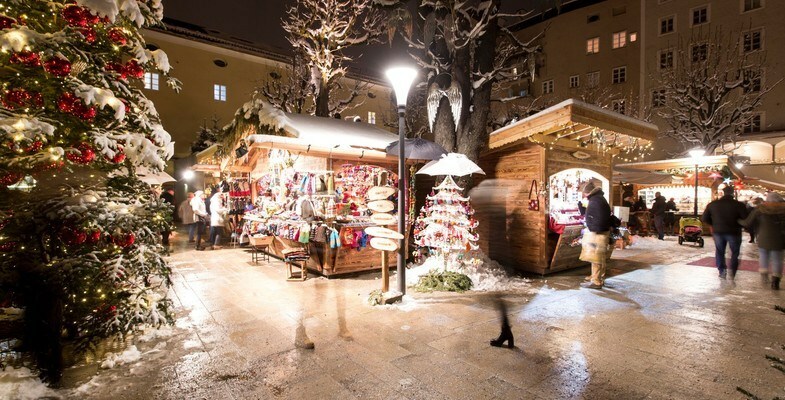 Having reached the top you can by yourself a cup of steaming mulled wine, perhaps buy the odd present at one of the many stalls and enjoy the spectacular views of the City of Salzburg below you. 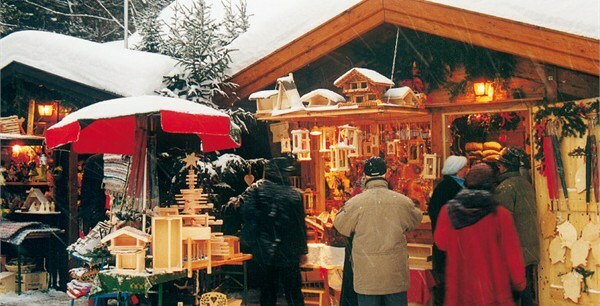 Fridays, Saturdays, Sundays: 11 a.m. to 7 p.m.
For centuries the sight of today's Christmas Market at the Mirabellplatz was a trading point for all kinds of wears. Even as early as 1491 a "dealers market" here was documented. 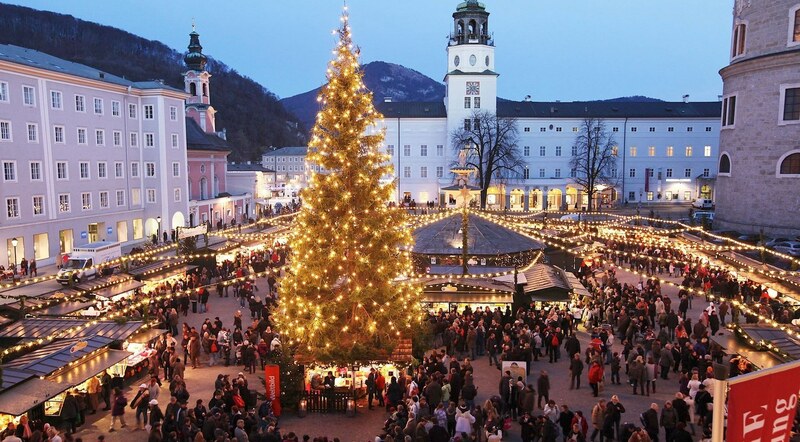 In the 17th Century the first mention of a „Nikolaimarkt“ (Nicholas Market) on this sight was made and after World War two the square the Mirabellplatz became the site of Salzburg's first ever Christmas Market. After closing down for several decades the market was brought back to life in 1990 and gains in popularity each year. 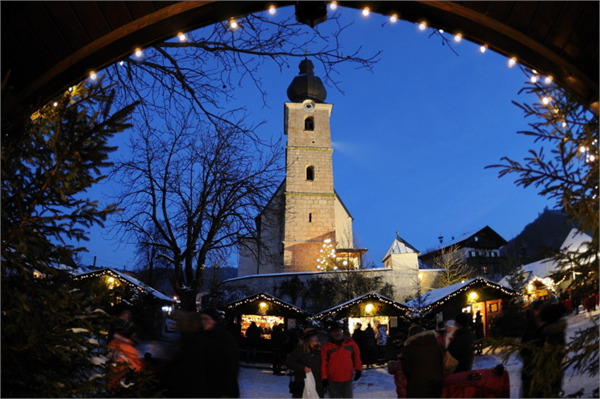 In the middle of November the magical Advent Market in Hellbrunn in the south of Salzburg opens its gates to visitors from all over the World. 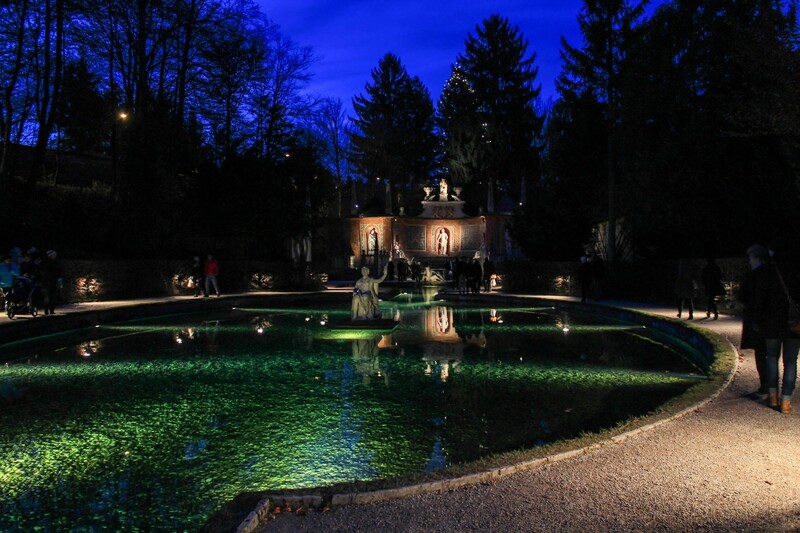 The majestic setting in the grounds of Hellbrunn Palace and the fairy-tale atmosphere make this market truly special. 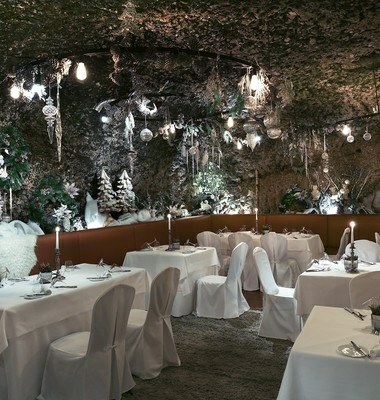 With the scent of Christmas pines, the twinkling lights reflecting in the giant Christmas baubles and the gentle melodies of dulcet Christmas carols, you experience the serene Advent atmosphere so typical in Austria with all your senses. 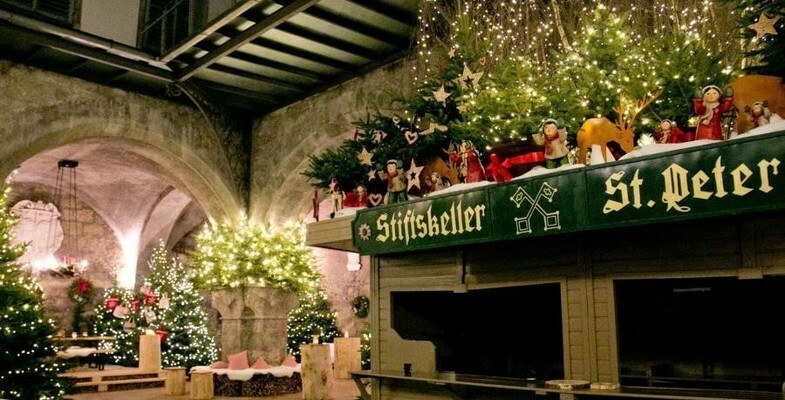 Enjoy traditional refreshments and browse through the stalls filled with hand-made decorations and small Christmas trinkets. 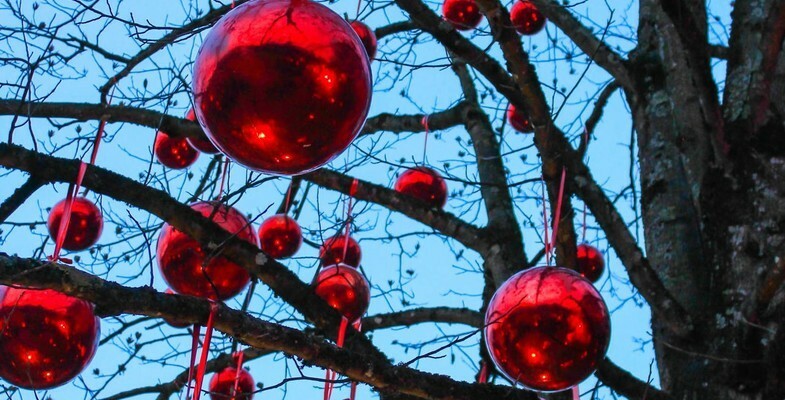 The highlight for children is definitely the Children's Christmas World with its campfire, Punch and Judy show, kids' biscuit bakery, story tellers and much, much more. Saturday/Sunday/holidays free after 6 p.m.
On the outskirts of the City of Salzburg in the rural village of St. Leonhard, charity literally begins at home: The beautifully decorated stall, selling hand-made decorations and home-made food are sold, are manned by volunteers and the proceeds going to "Lebenshilfe" charity that helps mention with disabilities. 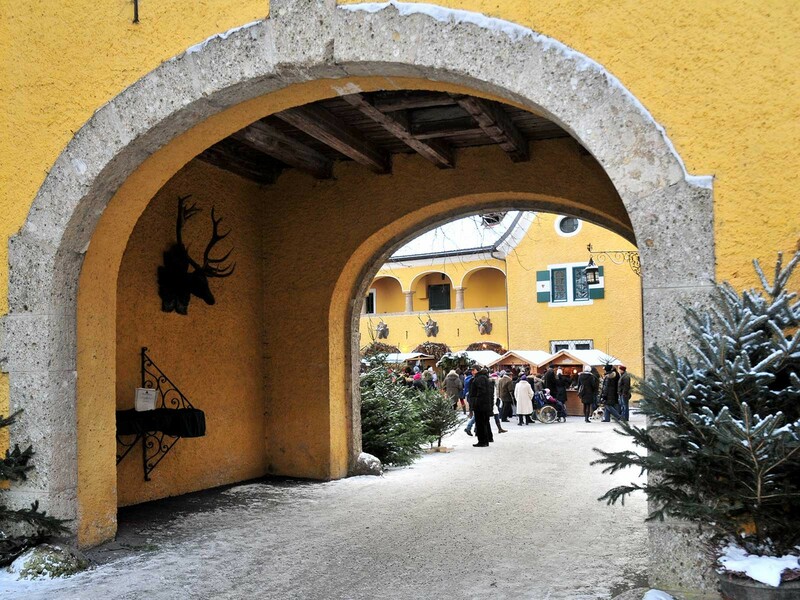 The historic Glanegg Castle Estates lies at the gateway to the City of Salzburg and is home to the Glanegg Advent Market. 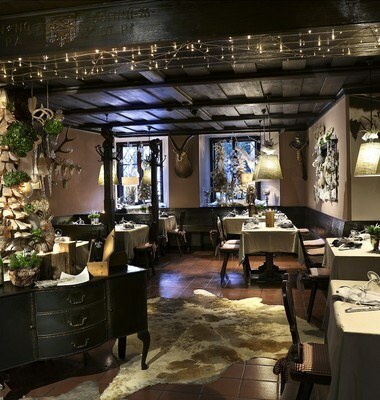 The historic setting and rural atmosphere is noticeably different to the markets in the city. 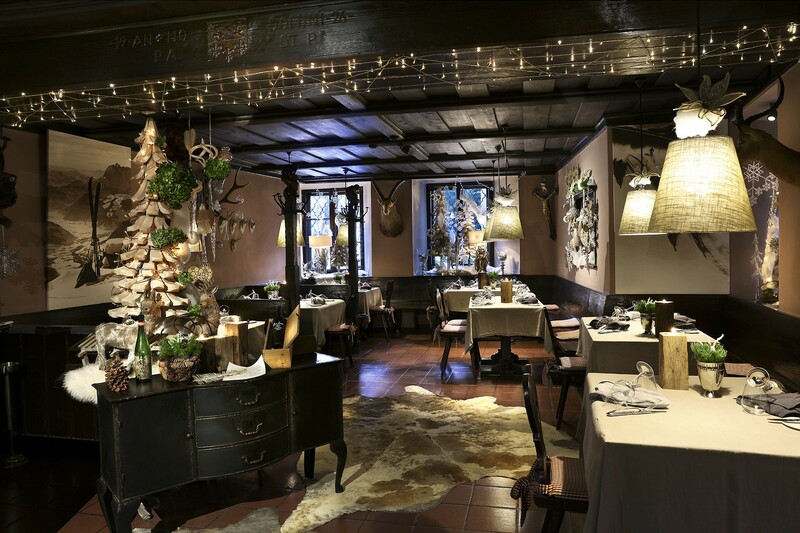 Home-made venison and game produce from thia Mayr-Melnhof estate are sold at the market along with home-made jams, spirits and various different hand-crafted wooden, pottery, glass and textile products. 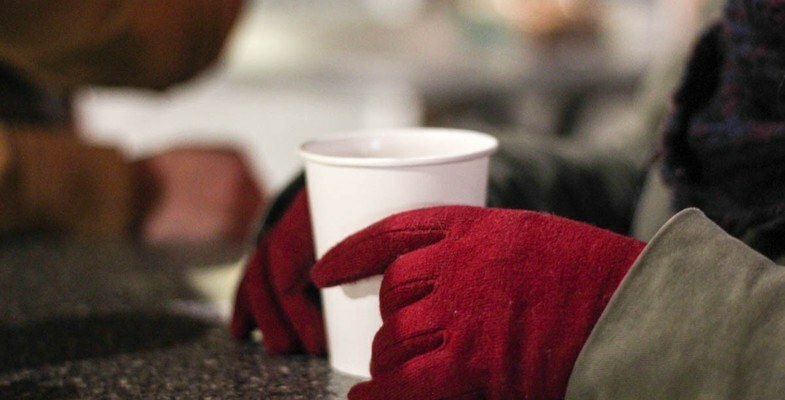 The open fires and a mug of mulled wine should keep you warm as you escape the stress of the build up to Christmas. 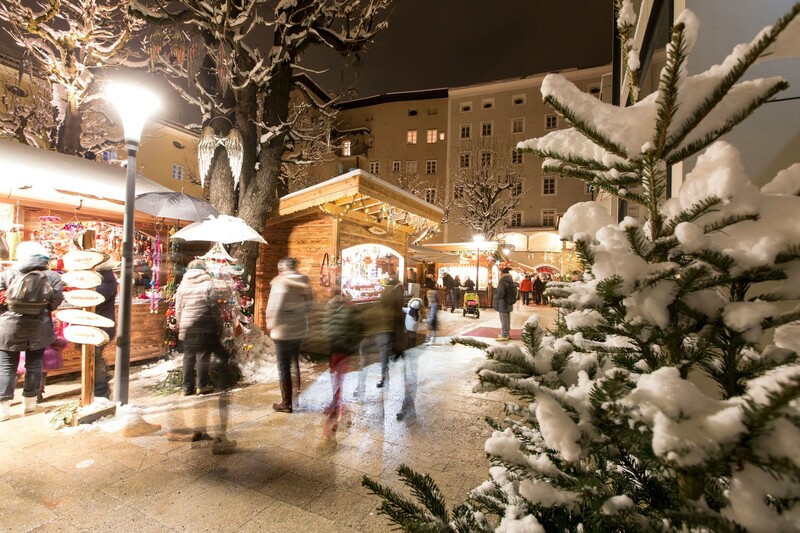 Between the famous Getreidegasse shopping street and the Griesgasse you will find the small but lovely Stern Advent Market. 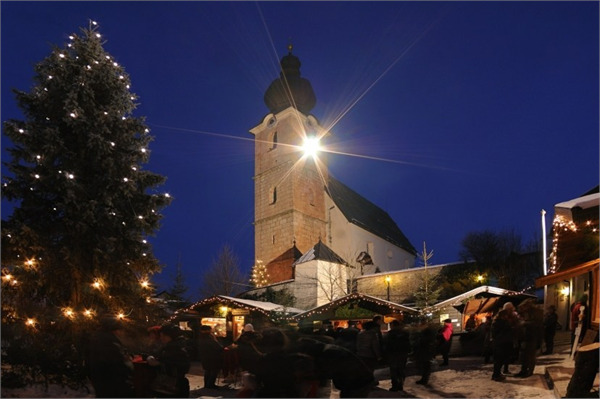 The stalls are huddled together in the forecourt of the Sternbräu restaurant and children will love the living Nativity scene. Despite, or perhaps because of its size, a visit to this Advent Market is always a nice way to get into the Christmas spirit. 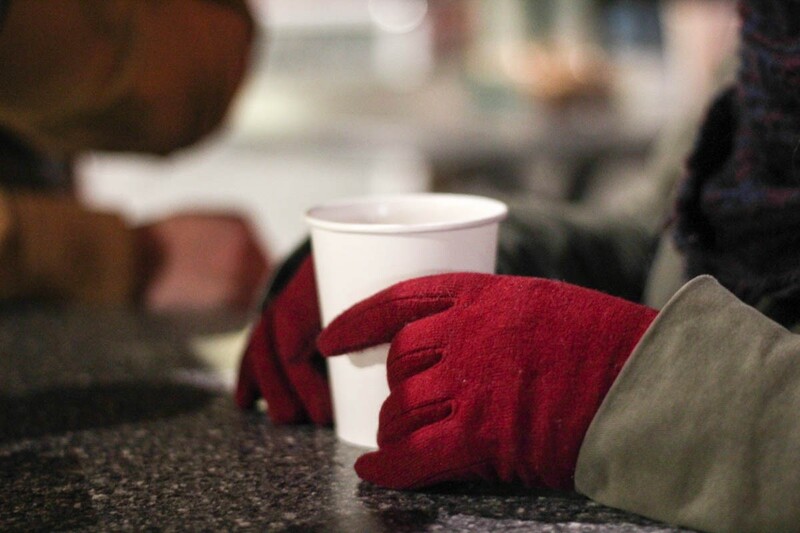 Friday & Saturday: 10 a.m.- 8:30 p.m.
24th & 31st December: 10:30 a.m.- 3 p.m.